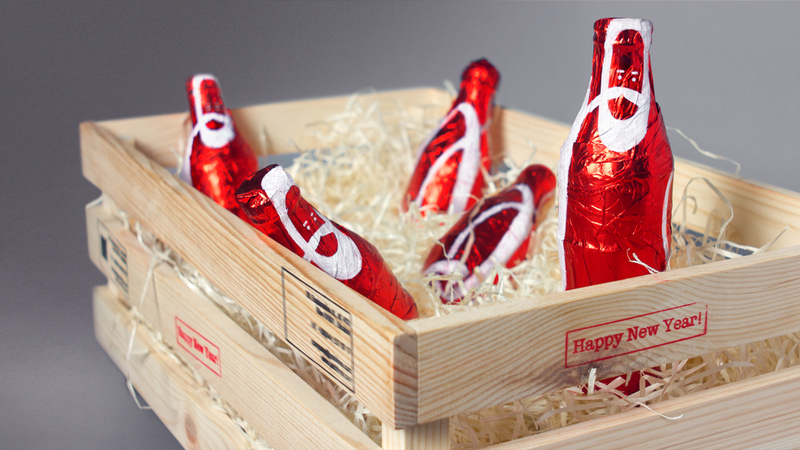 To remind everybody that the Christmas season is the Coca-Cola season, we designed Santa-Cola. 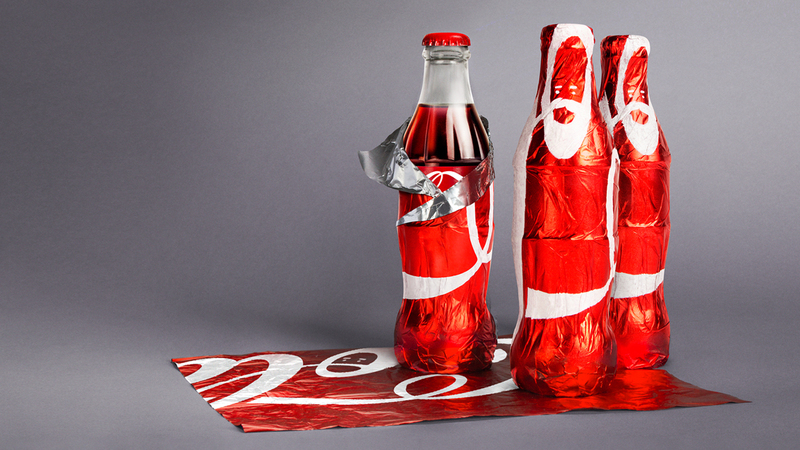 It is a limited edition of Coca-Cola bottles wrapped in foil like a chocolate Santa. The bottle is wrapped in such a way that a part of Coca-Cola logo resembles the image of Santa.